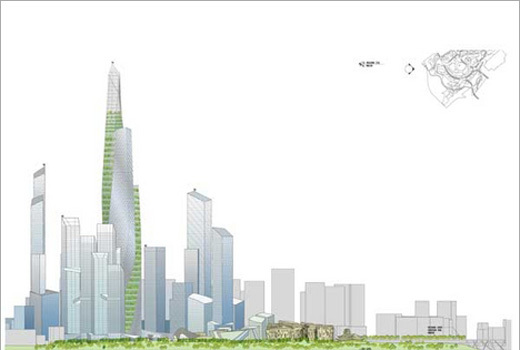 The winning design of master plan for a new district in Seoul is proposed by Studio Daniel Libeskind. The masterplan consists of a series of skyscrapers alongside the Han River, conceived as islands in a sea of green park spaces. According to Libeskind, the idea is to create a 21st century destination that is at once transformative, vibrant, sustainable and diverse. 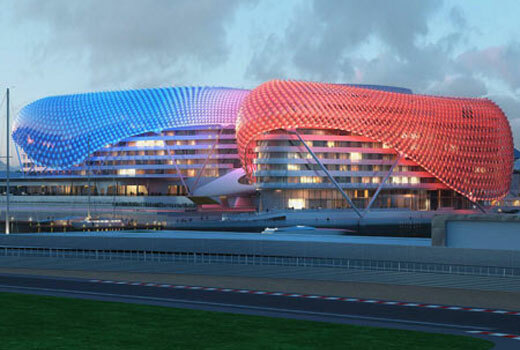 Designed by Asymptote, the Abu Dhabi’s Yas Hotel is part of the 36-billion-dollar Yas Marina development and accompanying Formula 1 raceway circuit (see picture below). The project is scheduled to open in October 2009. Sited on 85,000-square-meter complex, this hotel has 500 room and 5,800 pivoting diamond-shaped glass panels. Designed by young Italian architect, Paolo Gianfrancesco, the Barn House is a small project for the isolated West fjords of Iceland. 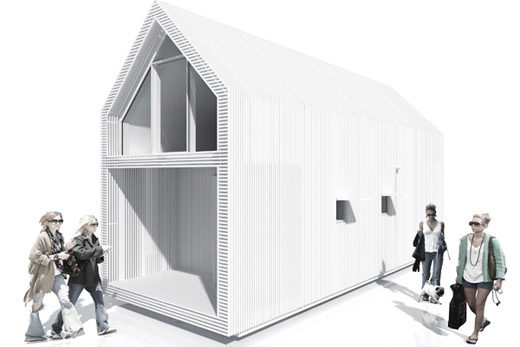 This project made with inspiration to the Icelandic old style to fit in a preserved area. The area is only accessible by sea during the short summer with small boats and no real port.